Help your players even if it is telling them they can’t play! NordicBet has launched a new download casino from Net Entertainment. I was really excited about this and wanted to try it out as fast as possible since Net Entertainment produce really good games. 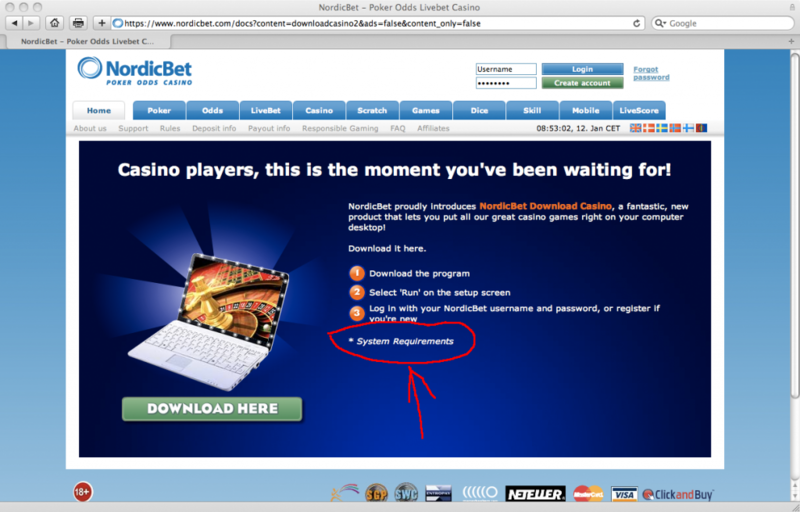 But I was really disappointed when I went to NordicBet’s portal to download the client, I found the download page but it doesn’t say what the system requirements are. I’m usually on a mac and tried to download it on my mac. This didn’t work very well so I guess you need a PC to get it to work. NordicBet could really remove all the confusion by just adding the system requirements on the page and I wouldn’t have had to guess. Make it easier for your players even if it is telling them they can’t play!